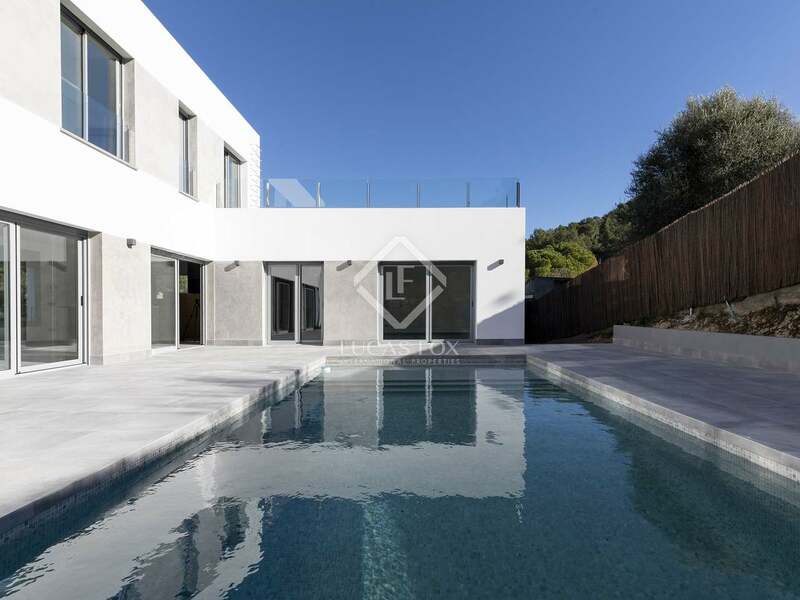 Unbeatable opportunity to acquire an impeccable new build villa on a flat plot of 600 m² with beautiful views of nature, 5 minutes' drive from Sitges, with all services, the beach and the train station. 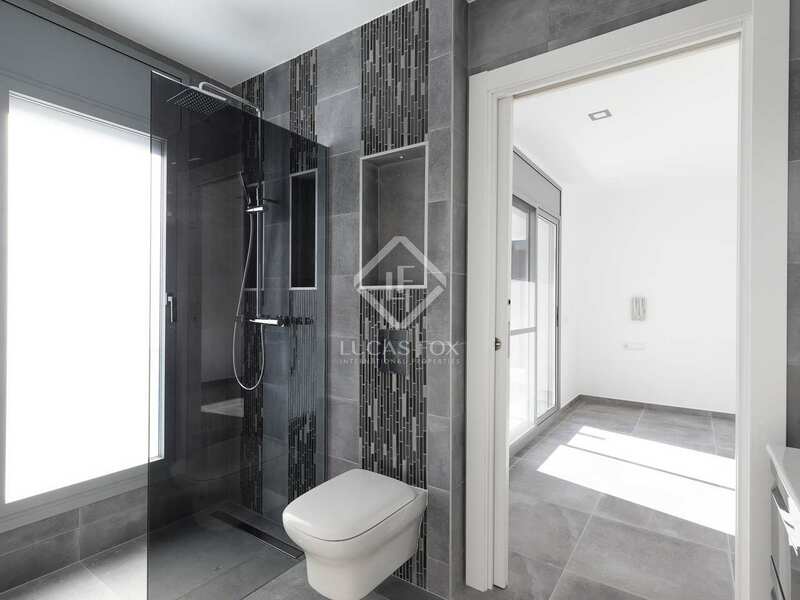 This 190 m² villa is surrounded by a garden area with a swimming pool with a jacuzzi, solarium and several terraces, and also offers a parking area for 2 cars. 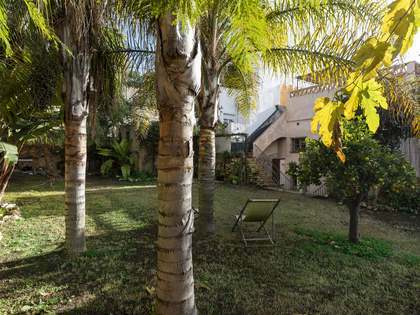 The new owner can finish the garden area according to their own taste. 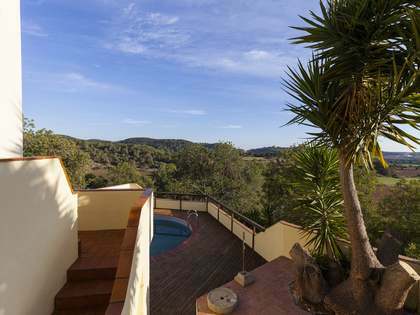 We access the villa on the main floor, where there is the spacious living-dining room with the wonderful modern kitchen with views and access to the garden and the pool; ideal for keeping an eye on the children while preparing meals. 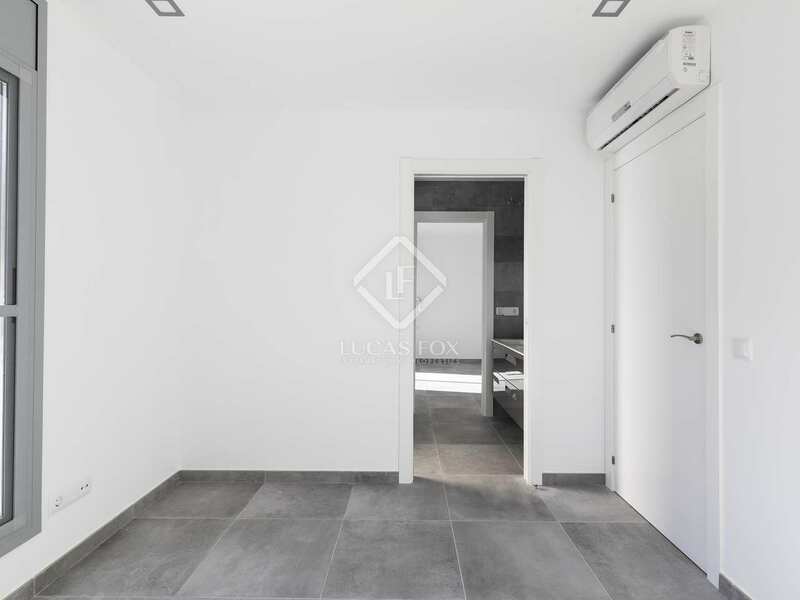 Also on this floor is the first double bedroom with its own bathroom and access to the back garden. 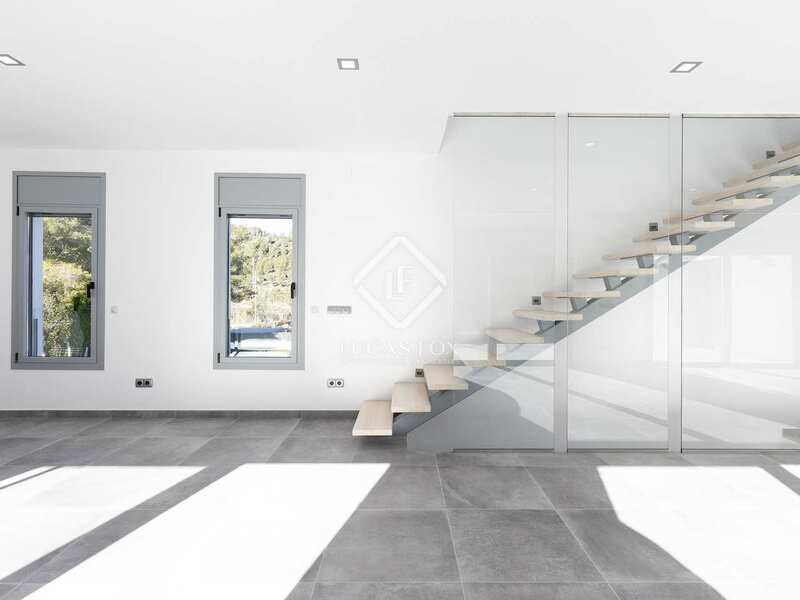 The staircase takes us to the first floor, where we find 3 double bedrooms, one of them with its own bathroom, and a second bathroom for the other 2 bedrooms. 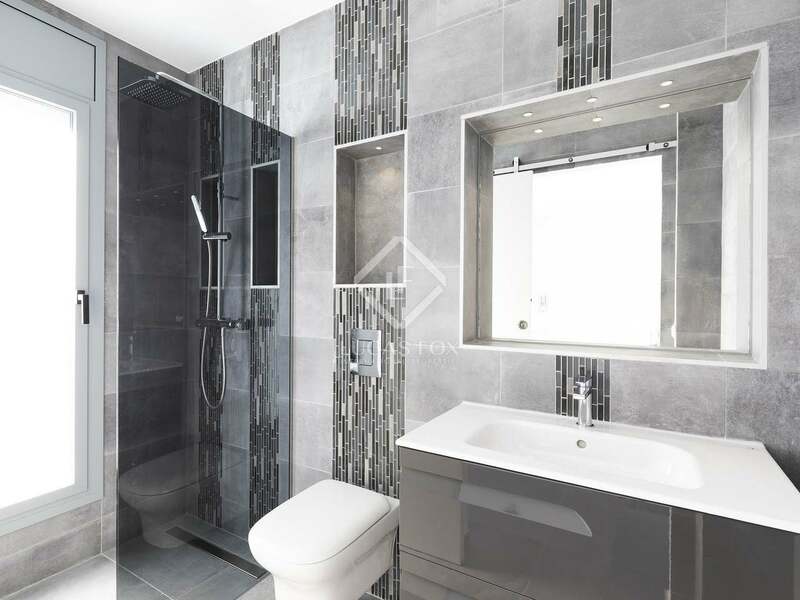 These last bedrooms would be ideal for children to have their own bedroom and share the bathroom. 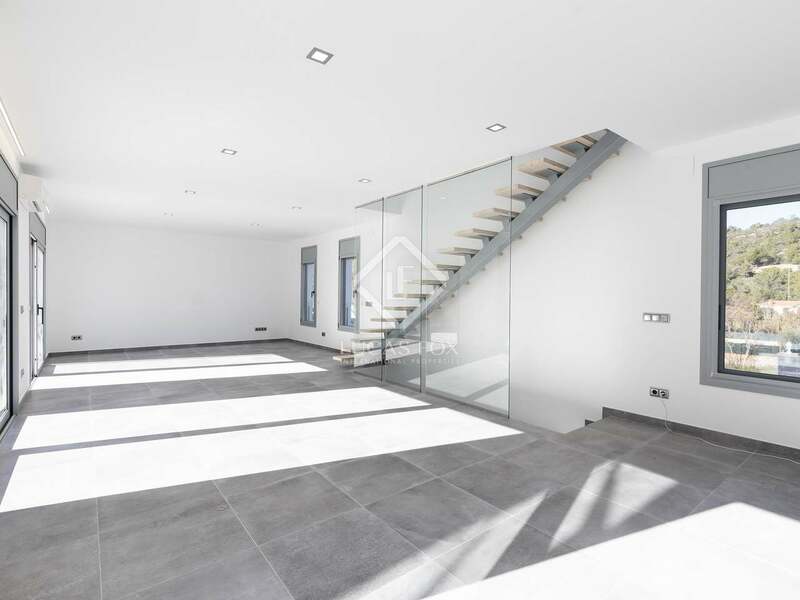 Being a new house, it is presented in perfect condition, with a system of underfloor heating and air conditioning in all rooms. 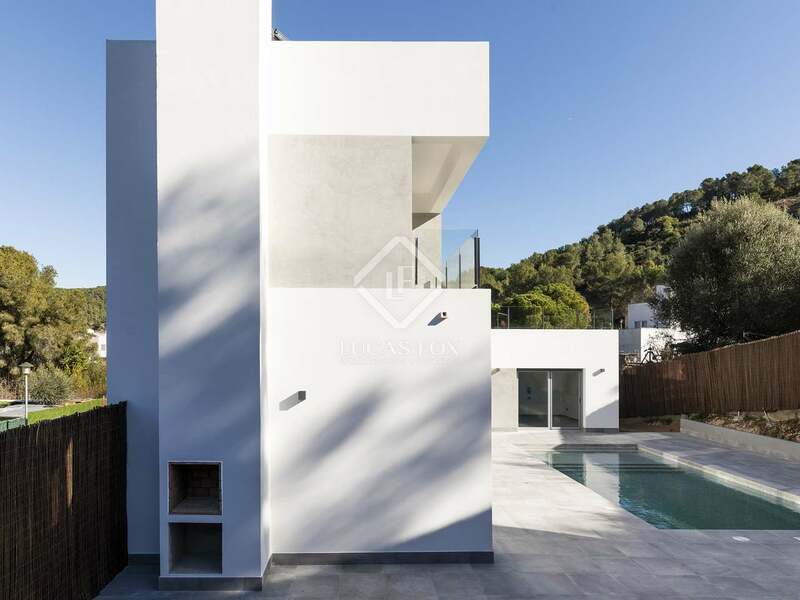 The villa has modern and elegant finishes, with clean white walls and an architecture based on minimalism, with clean lines that make this a perfect blank canvas. 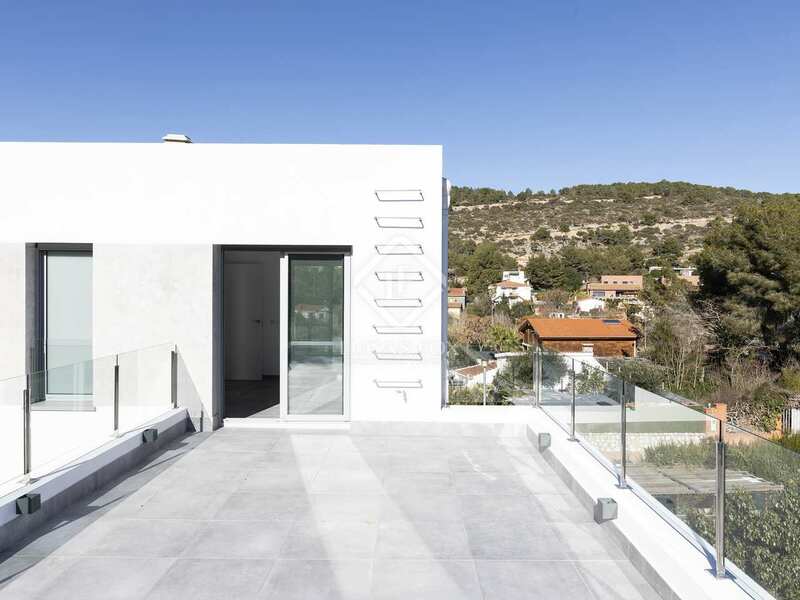 In addition, thanks to its large windows, it enjoys plenty of natural light. 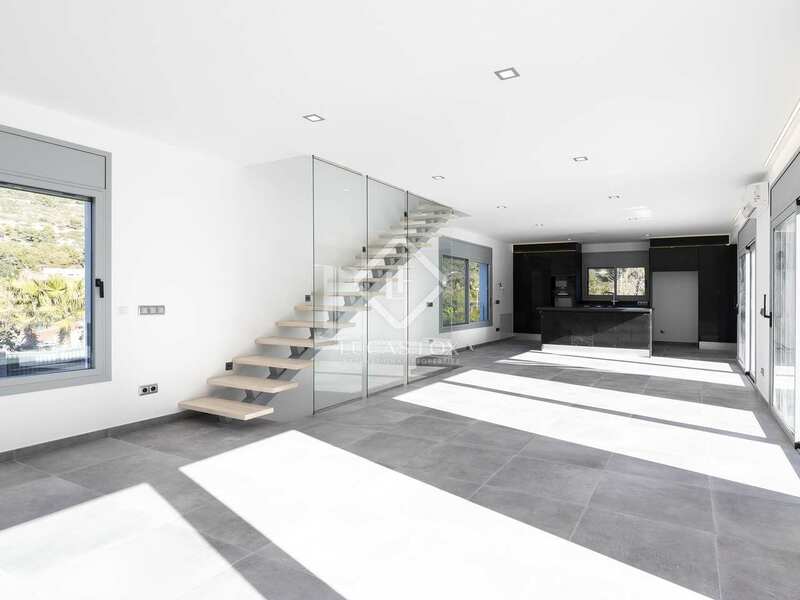 The new owner will only have to move in and add their personal touch. A unique property in the area with great privacy, at a very competitive price. 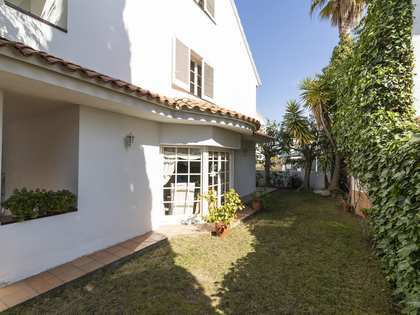 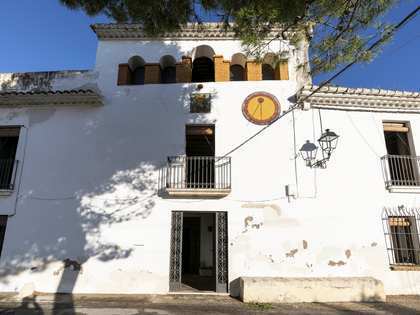 Ideal for a family that wants to live near Sitges. 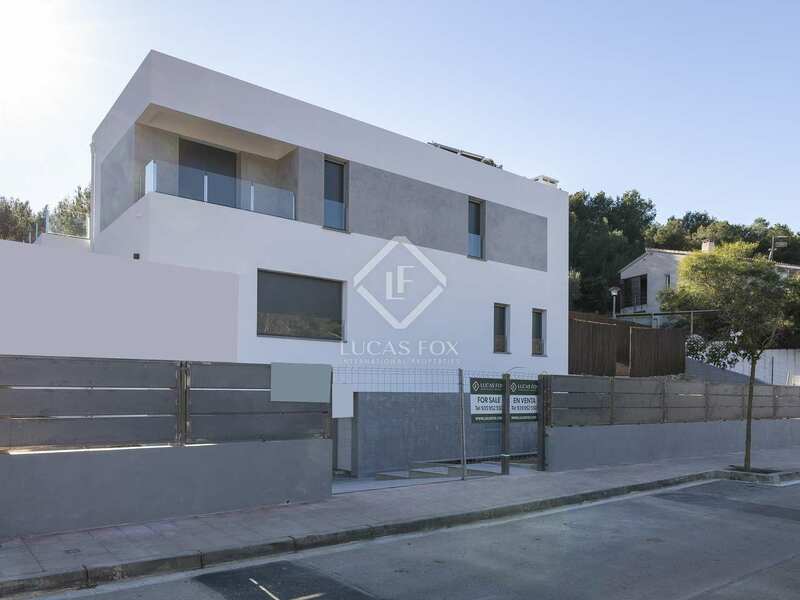 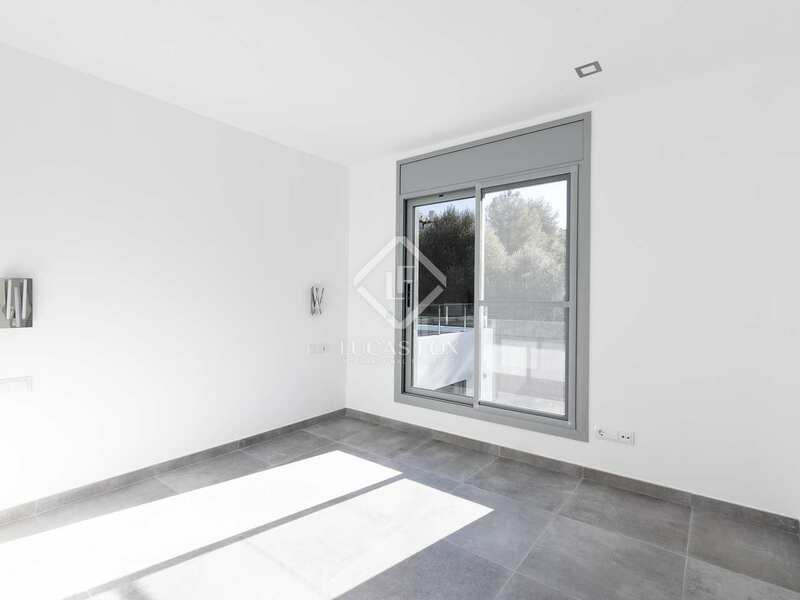 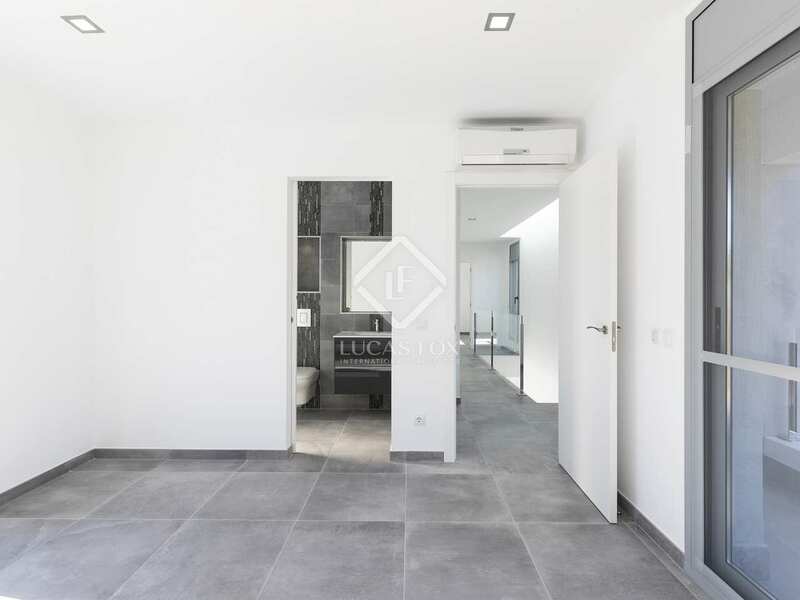 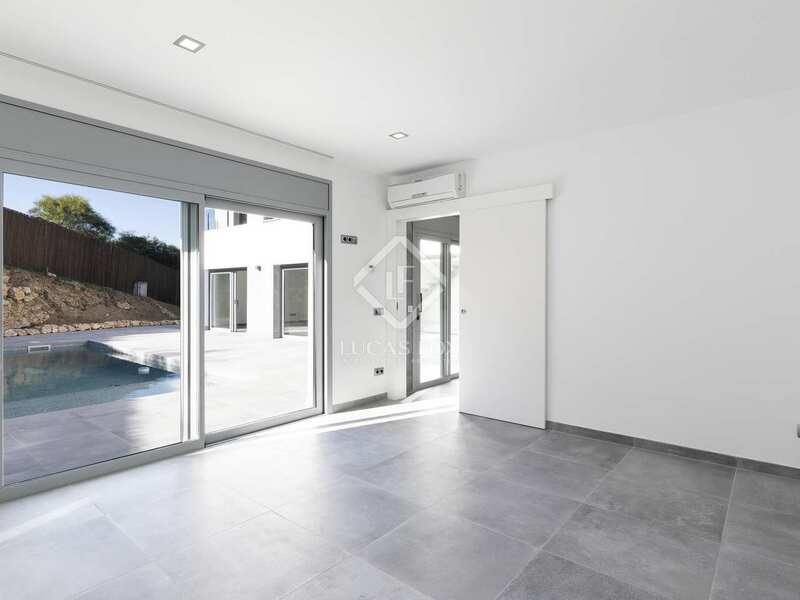 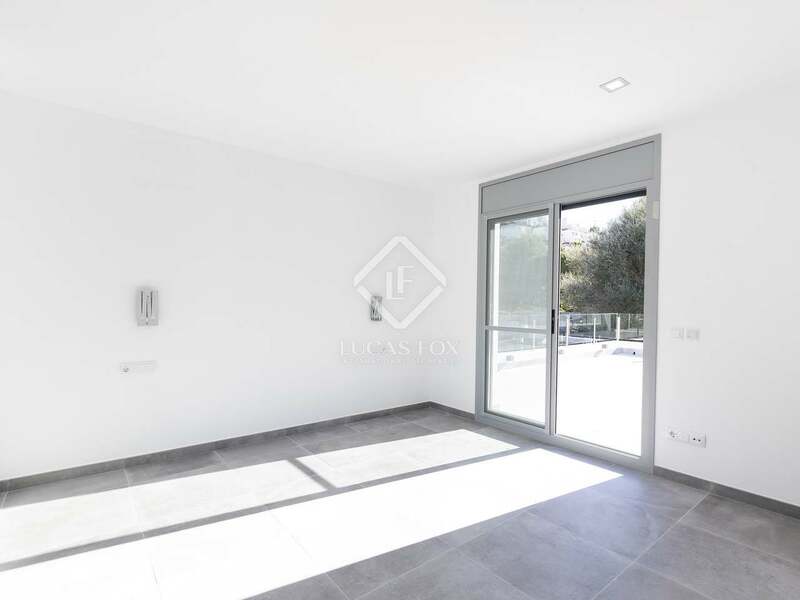 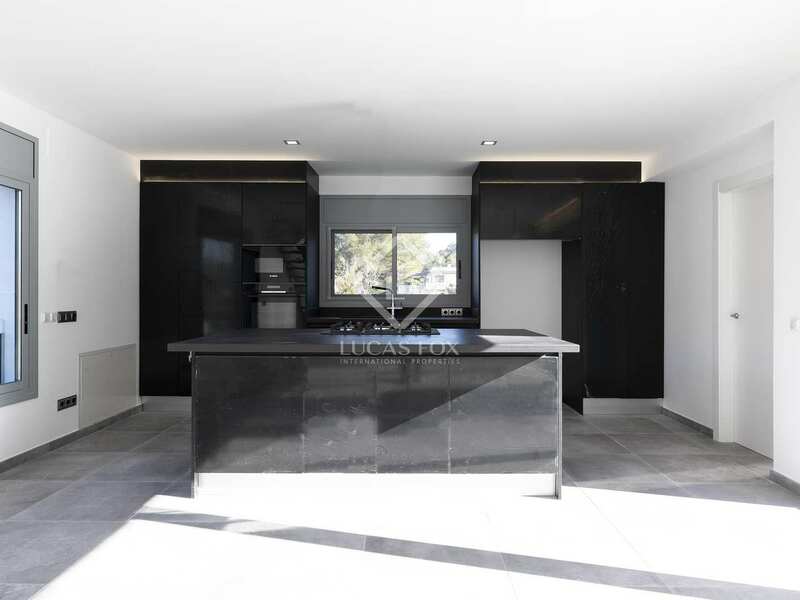 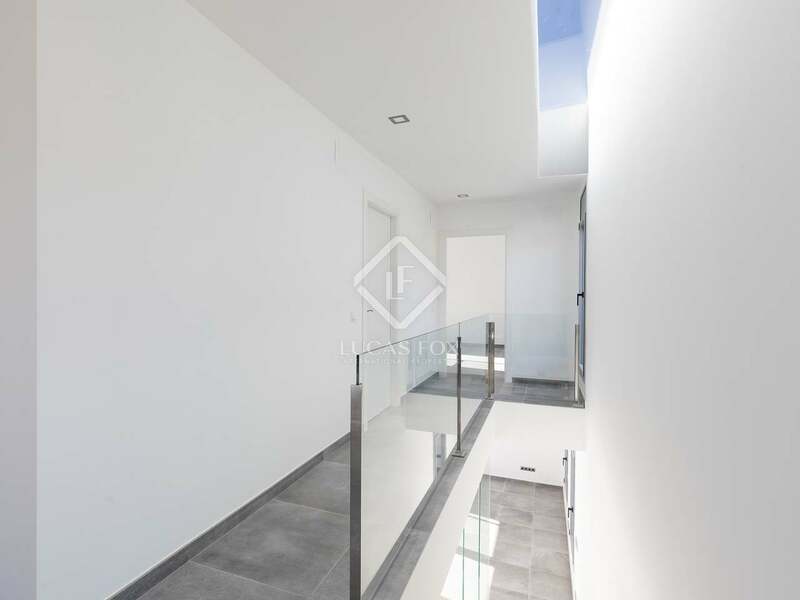 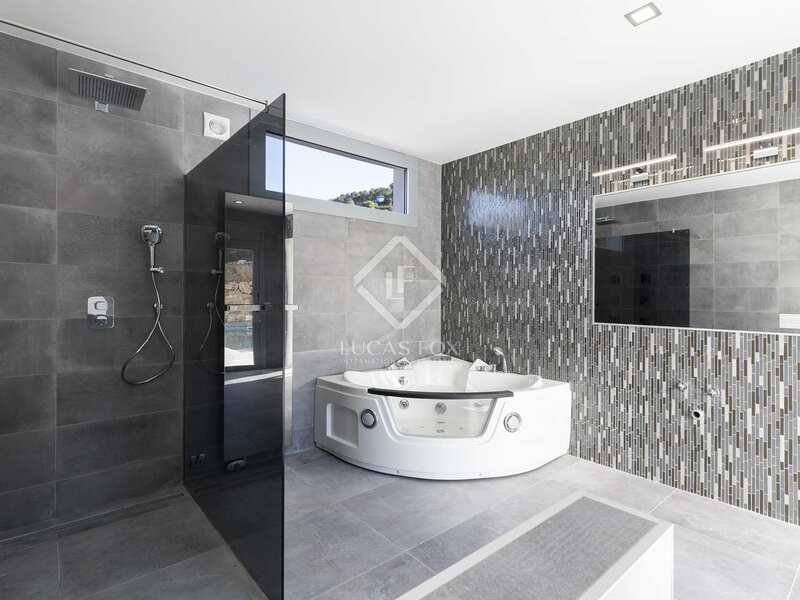 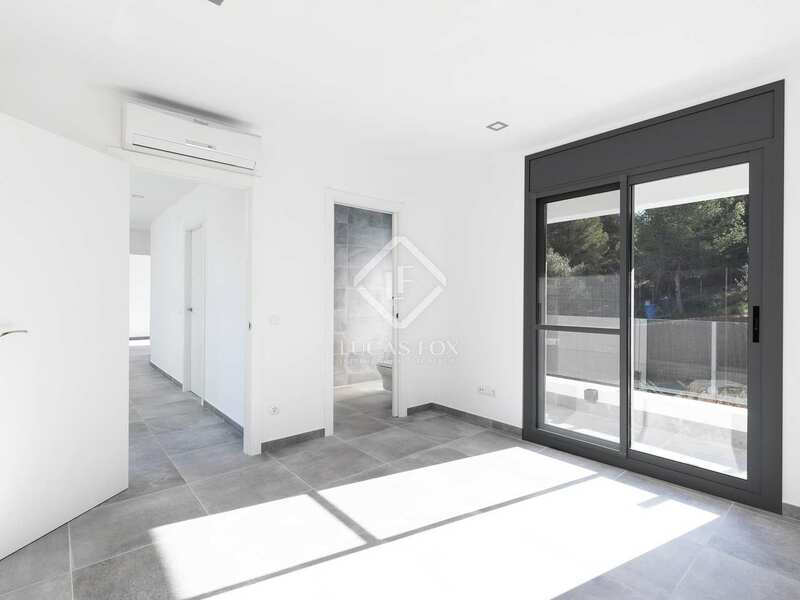 This new build villa is located on a peaceful street in Más Alba, a residential area in the hills behind Sitges. 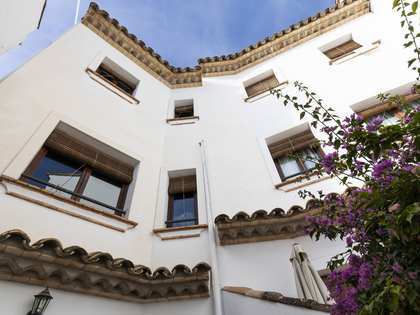 It is in one of Sitges' growing areas and just 5 minutes by car from all services.